Oshi will be 12 next week. He finds 6.45am far too early to be awake. 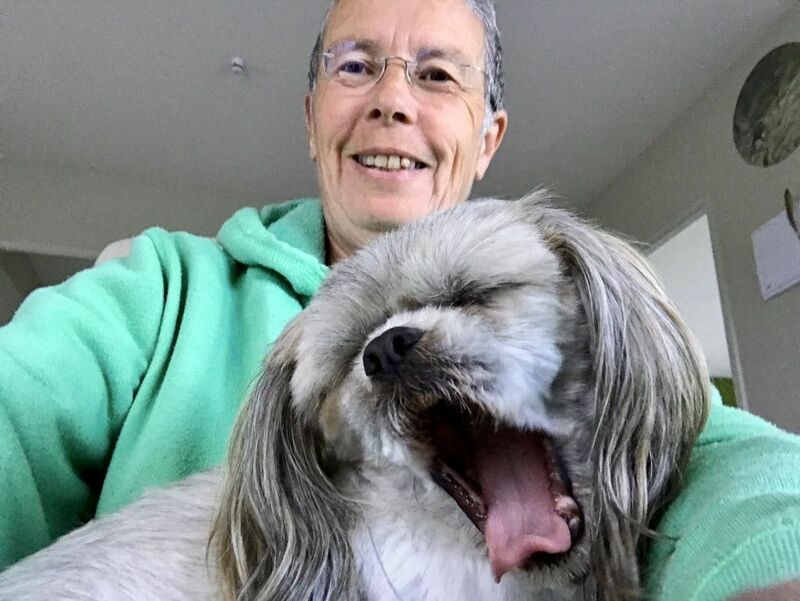 Photo: Oshi the dog yawning while sitting on my lap.